Adam Higginbotham is a journalist and the author of Midnight in Chernobyl: The Untold Story of the World’s Greatest Nuclear Disaster. Gregory B. Jaczko served as chairman of the U.S. Nuclear Regulatory Commission from 2009-12 and as a commissioner from 2005-09. He is currently an adjunct professor at Princeton University and Georgetown University and the author of Confessions of a Rogue Nuclear Regulator. They held their discussion over e-mail in January and early February. I think that history has furnished us with plenty of evidence that humanity can’t be trusted to handle nuclear energy responsibly, and the terrible consequences of getting it wrong are what drew me to write about the Chernobyl disaster. And it’s pretty clear that, more than 30 years after it happened, Chernobyl remains a major reason why so many people have reservations about nuclear power – the imagery of the entombed reactor and the abandoned landscape around it exert a powerful hold on the collective imagination. Greg, what do you remember about when it happened and why do you think it still looms so large? I don’t remember much about the accident when it happened. I was a freshman in high school, but learned more about it as I became involved in nuclear-safety regulation. It is one of the seminal nuclear-power-plant accidents. It changed the narrative about nuclear power because, unlike the Three Mile Island accident in the United States, people died and were permanently forced from their homes and lives forever. In fact, I watched a short film called The Door while I was NRC chairman. The film captures the basic human suffering that the accident caused. Despite the fact that the accident is so significant, I find it perplexing that it is largely dismissed in the U.S. Do you think the world sees this accident differently than the U.S.? I must admit I’m surprised that you’ve found it dismissed. I think that around the world there remain many misconceptions about Chernobyl – partly because of the Soviet authorities’ attempts to suppress information about it, which led to wildly exaggerated early reports about the supposed death toll appearing in U.S. newspapers and on TV. A week after the explosion, the New York Post reported that 15,000 people in Ukraine were already dead, their bodies buried in a nuclear-waste dump. And, while the consequences of what happened were catastrophic and destroyed thousands of lives, I also think misunderstandings about the dangers of radiation have been used by those on both sides of the argument about nuclear power, helping to create confusion about the accident and its effects. But over the years I spent researching Midnight In Chernobyl, the consensus among the nuclear engineers I spoke to was that the disaster was the result of a fatal confluence of circumstances that could only have occurred in the Soviet Union: a deeply flawed reactor design, unique to the USSR; a culture of reflexive secrecy; an intoxicated air of overconfidence among those at the top of the nuclear state; and an ignorance of elementary nuclear safety, and the faults of the reactor itself, among plant staff. But while you were at the NRC, did you find that its wider significance was dismissed by those within the nuclear industry? Had they learned anything from what happened in Chernobyl? At the NRC, especially prior to the most recent accident at Fukushima, Three Mile Island and even the near miss at Davis-Besse were much more prevalent than Chernobyl for improving safety. Davis-Besse became a major focus for the agency because it involved a series of poor decisions by the plant and the regulator that almost led to a major accident. In response to an industrywide problem, the plant shut down after extensive foot-dragging. The owners and the NRC then discovered a major part of the reactor had corroded to the point that an accident was all but inevitable. This and Three Mile Island were really the focus before the Fukushima accident; the U.S. nuclear industry and regulatory community really does not talk much about the Chernobyl accident. But just looking at the causes you identified above, many of those could easily apply to problem plants in the U.S. While the technology is different, so many of the challenges and weaknesses of nuclear power are universal. Looking back, it seems like the U.S. should have done more around the Chernobyl accident. I am wondering, though, if you could expand on the “misunderstandings about the dangers of radiation” and how that impacts how people use the Chernobyl accident. 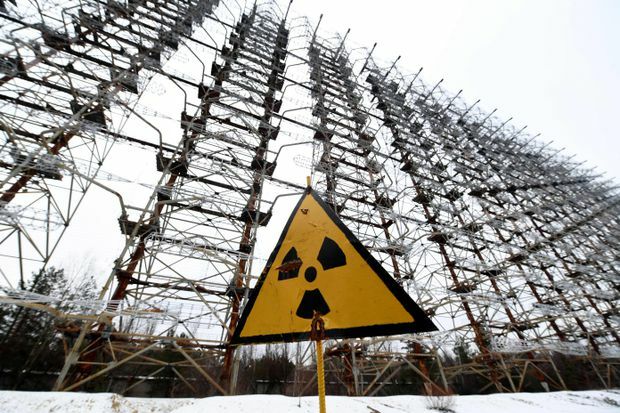 Nov. 22, 2018: A sign with the radiation warning symbol is seen in front of a Soviet-era radar system near Chernobyl. Part of the USSR's missile defence radar system, it was closed after the Chernobyl catastrophe in 1986. 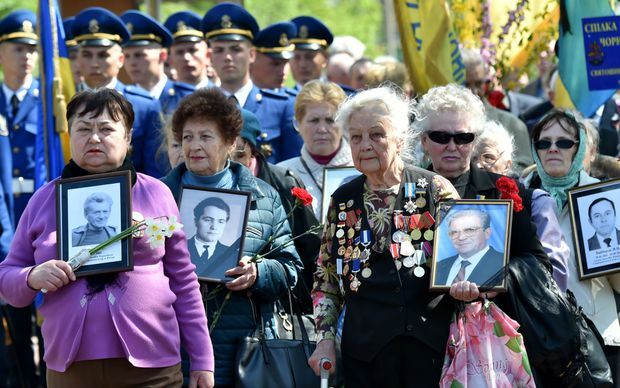 April 26, 2018: Widows carry the pictures of their late husbands, who were "liquidators" in Chernobyl, during a ceremony in tribute to the victims of the nuclear disaster in Kiev. About 600,000 Soviet citizens who became known as liquidators, mostly emergency workers and state employees, were dispatched with little or no protective gear to help clean up and build a concrete sarcophagus over the damaged reactor. On one hand, I think radiation by its very nature – invisible, odourless, tasteless, intangible, potentially lethal – can seem a terrifying phenomenon, even though many of us don’t give a thought to the tiny doses of radiation we receive from the world around us every day. The complexities of the linear no-threshold model of radiation exposure and lifetime risk calculations can make it a struggle not to glaze over in confusion or boredom. Yet the way they’re presented to, or misinterpreted by, the public can have a terrible impact in the real world, as with the spike in abortions that reportedly took place in Western Europe in the months after the Chernobyl explosion. On the other hand, the nuclear industry can also use such complexities to conceal and obfuscate the dangers of its technology – merely the changes in the units used to measure radiation doses in the press over the years make it extremely challenging for non-scientists to compare the effects of Chernobyl with Fukushima. Even after all the accidents you describe, and the opportunities to learn from them, do you think that there are currently U.S. nuclear plants where there remains a risk of a disaster on the same scale as Chernobyl? The risk of an accident is there for every commercial power plant in the U.S. The plants are different, so the radiation releases would not necessarily be as large as the release from Chernobyl but still could be substantial. And because the accidents are to a certain degree random, you can not predict exactly where and when one will happen. The industry uses that fact, too, to obfuscate. I began to realize the most important communication the industry could make after the Fukushima accident is just come clean with that fact: Accidents will happen – and when they do, here’s what to expect. I think that kind of transparency would actually help the industry in the long term. They would get out from the blanket of promising perfection. Then when an accident hits, they won’t have to try to justify why they weren’t saying accidents could happen. When you talk privately to industry leaders, they all acknowledge they can’t promise accidents won’t happen. Their words are carefully parsed. The reaction to Chernobyl, though, seems to have been different in Europe, where plants of the same design were forced offline as European political integration happened. Why do you think that is? Chernobyl had a much greater immediate impact in Europe than it ever had in the United States. In the weeks after the explosion, the Italian government banned the sale of leafy vegetables and advised nursing mothers and children to stop drinking fresh milk. Pharmacies in Denmark ran out of stable iodine tablets. Farmers in Scotland and Wales were prohibited from selling meat from sheep that had grazed on hills contaminated by radioactive fallout. Children across the continent became afraid to play in sandboxes. There were constant reminders of the effects of the accident for months and years after the explosion, and the green and anti-nuclear movement was, perhaps, already a more effective force in Europe than in the U.S. by that time. Even so, I think the impact of the accident in the U.S. was pretty significant – all plans to build new reactors were suspended after Chernobyl, weren’t they? The last of the plutonium production reactors in Washington State, which operated on the same principles as the ones in Chernobyl, was also closed down in 1987 … although I think the government insisted at the time that the events were not connected. It sounds as if your experience has shown that the technology of nuclear reactors is simply too complex – and too fraught with the possibility of accidents – for us to handle safely. Is that right? Have we actually been lucky there have only been a handful of nuclear disasters since we began building power reactors? It is interesting that you suggest all plans to build new reactors were suspended after Chernobyl. I’ve don’t think I’ve heard anyone blame the industry’s changes on Chernobyl. Usually they place the blame on the NRC, because of the aggressive reforms put in place after the Three Mile Island accident. The NRC made no changes to requirements after the accident. But yes, I think the design choices for reactors in the U.S., in particular, are fundamentally poor. These plants require lots of equipment, with its associated power needs and cooling needs, just to deal with the energy in the plant, even when the reactor has been shut down. Despite duplication and redundancy, these systems will eventually fail. When they do, accidents are inevitable. I am not sure that the reason we have had only a few accidents is luck. I think it is partly the result of a comprehensive focus on safety – one that I think is weakened considerably by the closeness of the industry to the NRC in the U.S. So accidents are rare – but not impossible. What is really interesting about the number of accidents is that they are in fact much more frequent than most computer models predict. If you trust the models, we really should not have seen more than one accident with all the plants operating today. This has broad implications for the future as people contemplate building thousands if not tens of thousands of reactors to power electricity into the future as a solution to climate change. In that case, instead of having accidents every 10 years or so, you could see accidents every six months. All but the most ardent nuclear supporters would find that unacceptable. What do you think? Will people ever become comfortable with accidents happening on a regular basis – or even every 10 years? Is the next accident the end of the industry for good? Feb. 19, 2012: Japanese evacuees from the towns inside a nuclear exclusion zone bow as Shinto priests hold a memorial ceremony in the abandoned and irradiated town of Namie in Japan's Fukushima prefecture. 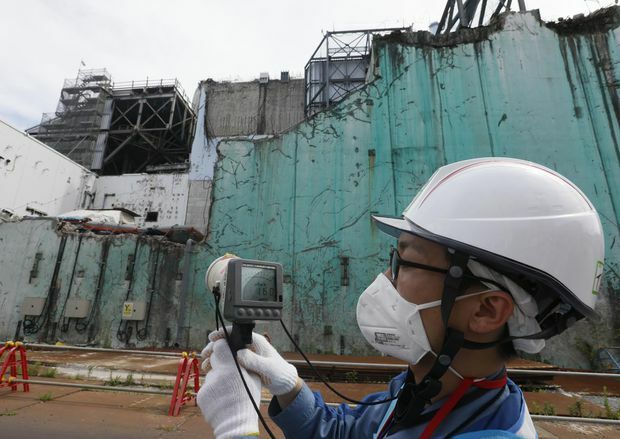 Almost a year earlier, a massive earthquake and ensuing tsunami wrecked cooling systems at the Fukushima nuclear plant on Japan's northeast coast, sparking reactor meltdowns and radiation leaks. July 27, 2018: A staff member of the Tokyo Electric Power Company measures radiation levels at the Fukushima Dai-ichi nuclear power plant. I agree. I think that one more disaster on the scale of Fukushima would make the future of the industry very bleak. Having said that, it’s hard to see France, for example, which generates 75 per cent of its electricity from nuclear plants and exports electricity to neighboring countries, giving up on nuclear energy. I suppose the big question is whether you think that the risk of accidents – and therefore the risks of the technology as a whole – would be the same with the new generation of reactors that are being developed in the U.S., China and elsewhere. As you know, the fourth-generation designs are – in principle – far safer and produce far less radioactive waste than their predecessors, which were initially developed for military purposes and to manufacture plutonium for atomic weapons. The theory, as I understand it, is that these designs are far simpler and make loss-of-coolant accidents such as Fukushima impossible. What did you learn about these designs while you were at the NRC? Are they the potential panacea their boosters, including some environmental campaigners, would have us believe? My experience tells me that all nuclear designs on paper are great. In practice, however, they never live up to the lofty standards the designers promise. The so-called generation IV reactor designs are no different. They are more aspirational goals for reactors than actual reactors. If a better design truly existed, it probably would have been built, because most designs people are discussing today were developed decades ago and just never commercialized. Like a good Shakespearean hero, nuclear’s biggest asset is its tragic flaw: Nuclear power generates lots of energy in a small area using a nuclear rather than a chemical process. That process creates radioactive material that must be cooled after the reactor stops running. Every design simply processes that heat a different way. But what we know for sure is that nature will not fail in generating the heat, yet human machines, systems and procedures will fail at removing it. That is why you have accidents. That fundamental truth about nuclear power will never change. 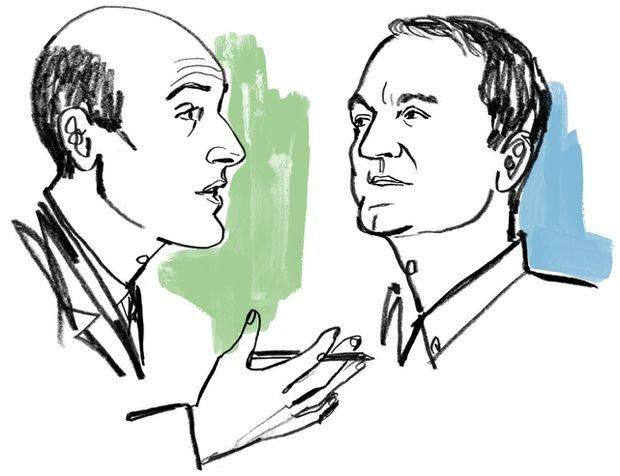 So when you take a plant from concept to design to construction, you begin to eat away at the original aspiration because of the limitations of funding. You have to build an actual plant that costs a specific amount given finite resources. Once you start doing that, it becomes clear that to get enough energy density to make a plant work economically, you have to operate on a bit of an edge from a safety perspective. Totally foolproof plants could be made but they would be useless for generating energy economically. Ultimately, I think people will never tolerate frequent accidents. The good news is that they won’t have to because carbon-free electricity alternatives to nuclear are in many cases cheaper than even existing nuclear plants and becoming even cheaper faster. I wonder if you heard this as you were researching your book? That’s a very compelling argument! Of course, I came across plenty of evidence that carbon-free alternatives to nuclear energy may work to replace fossil fuels in the long run. But it also seemed unlikely that they would provide the solution to the urgent problems of both reducing carbon emissions to combat global warming and simultaneously meeting the rising energy demands driven by the increasing electrification of the developing world. Global demand for electricity is projected to increase by 50 per cent over the next 30 years. An analyst at the World Energy Council I spoke to recently told me that renewable energy technology simply wasn’t ready to bridge that gap. And while I’m certainly not gung-ho for nuclear energy – the lessons of Chernobyl are too stark for that – I remain optimistic that it’s a potential solution to the wider, immediate crisis that humanity finds itself in.